Looking to upgrade your current vehicle? You’ve come to the right spot. Rates and APR* are current as of 4/6/2017 and are subject to change without notice. Monthly payments are based on maximum term listed below per $1,000. 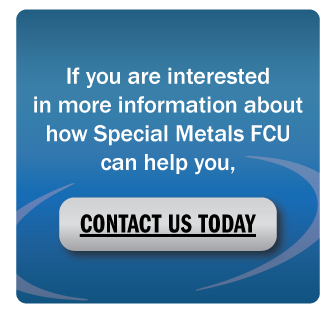 ©2018 Special Metals Federal Credit Union | Federally insured by NCUA. Membership eligibility is required.